Have you been seriously considering putting your home up for sale? If you have, do you want or possibly need to sell it quickly? If so, then there are a few things you need to know in order to start preparing your house to sell fast. How can you do that? You might want to start by getting rid of all of the extra stuff you have accumulated over the years. That’s a good start, but you are going to have to do a lot more, unless your house is already an eye-popping, people-stopping show place. Don’t push that panic button quite yet. If you want to begin preparing your house to sell, then you are going to have to restage it. You can hire someone to give you the ideas you need to do it yourself, or have them do all the work for you. 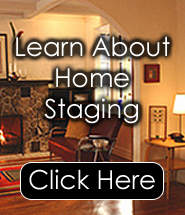 But if you really want to do the home staging yourself, you might think about getting some inexpensive advice and ideas from a resource with decades of experience. At Decorate-Redecorate, you can find the perfect eighty page guide that will have you preparing your house to sell fast just like a professional. With so many homes going on the market these days, you need to do everything you can in order to make your home more appealing than the others that are out there. And whether you are a professional or a homeowner needing to restage your own home, it is important that you have the proper guide or check list to do it right. There are other books out there you can purchase on home staging, but do you really want to wade through two hundreds pages or more of fluff just to get to the meat of what you need? Do you really have that kind of time? With “Home Staging For Yourself,” you will only find the information you need in clear, concise words that are easy to follow and understand. If you are serious about preparing your house to sell, then why not visit www.decorate-redecorate.com today. You will find everything you need to help you get the job done and done correctly. You can also use what you have learned to decorate your new home like an expert as well. You, too, can live in a beautifully appointed home, and it won’t cost you a fortune to do it, either.